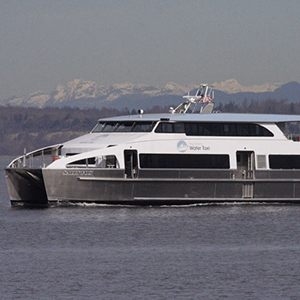 Whether it’s a high speed catamaran passenger ferry, a monohull cruise boat, or a university research vessel, we know each of our operator’s needs are unique. This is why we do not conform their objectives to fit existing designs. We work on every detail of the mission of each vessel prior to production, to ensure the most operator friendly, fuel efficient, and best performing vessel in its class. All American Marine is at the forefront of aluminum vessel design and manufacturing. Our team is committed to guiding you through each step of the process, and we deliver a great value on a vessel that is truly unique to its specific application. Through comprehensive testing and hull analysis, our hulls lead the industry in fuel-efficient hulls that produce minimal wake wash. Contact us today to learn how your hull will pay for itself. Our team is dedicated to providing you with a unique hull shape and vessel configuration specific to your mission. Our operators are our partners, and we want to provide the best vessel possible for their needs. The drive for a more sustainable future is alive and well in the maritime industry. 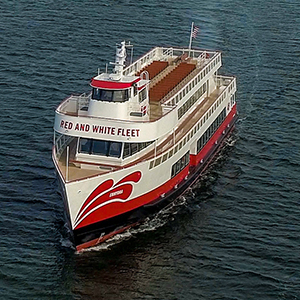 Learn how AAM is staying ahead of the curve in providing our customers with hybrid propulsion options for their vessel needs. From high-speed catamarans with hydrofoil technology to hybrid electric monohulls, we’re building the future of transportation. AAM is excited about this growing sector, and we look forward to customizing more vessels for this unique application. It’s happening on our roads and we know we won’t be able to rely on fossil fuels forever, that’s why AAM is on the leading edge of the decarbonization trend. From university research to government survey vessels, see how AAM is building the most advanced boats for all of our operators’ needs. Whether it’s for the LA Port Police or the US Army Corps, AAM has built the toughest vessels required for their class. 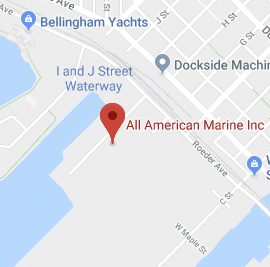 Approximately 85 miles North of Seattle, All American Marine’s production facility is located along the Northern shore side of Bellingham Bay in Bellingham, Washington. 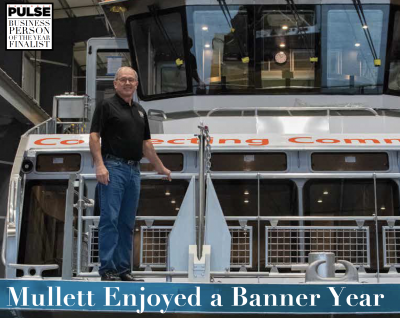 In early 2017, AAM moved into the brand new, purpose-built 57,000 square foot boat construction facility located on Squalicum Harbor, allowing for multiple vessels of varying sizes to be in construction simultaneously with staggered production schedules. 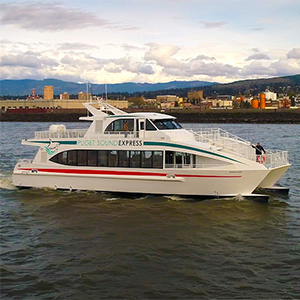 We are very pleased with the team All American Marine has put together to deliver this unique vessel and are eager for our guests to experience San Francisco Bay from the silent decks of the Enhydra [this fall]. We see the propulsion configuration on the Enhydra as phase one in our move toward the full electrification of our fleet. Stay tuned for phase two. Working with the All American Marine team from start to finish went beyond expectations, and their commitment to detail and excellent project management throughout the process was the difference maker. A successful partnership is one that accomplished the goals of all parties and concludes with superior results. King country citizens will be the beneficiaries of these quality vessels for years to come. Thank you to AAK, Teknicraft and King County. To stay in the know about what All American Marine is up to, what we are currently building or about to launch, our past projects, and industry news, don’t forget to follow our blog, blog facebook page, or keep checking here for the latest updates. https://youtu.be/sFXRwTnsslE Check out the rollover process for a Teknicraft catamaran currently under construction for Duke University. The 72' research vessel will have wet labs and dry labs, oceanographic equipment, a galley and sleeping quarters. It will be an ocean-going classroom to train undergraduate and graduate students in oceanography and marine biology at the Duke Marine Lab at Beaufort, North Carolina. It will also be used to support science outreach programs for local K-12 teachers, students, and community members. Researchers and instructors from other institutions will also be able to charter the vessel for scientific or educational purposes. Matt Mullett – Whatcom Business Alliance’s Business Person of the Year!